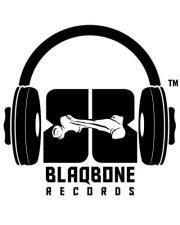 www.blaqbonemedia.com (S. Bless’On: Bsc (Hons), MBA, Senior Executive, Broadcast Journalist @ Radio Cardiff); ToonToom Records www.toontoom.com (Q. Ampofo: B.A. GIJ (Dip) – CEO, Copywriter, producer, Creative Head @ Multi Media Ltd, DJ @Joy FM / Hitz FM & DJ/Presenter @ BigBrother Africa);www.dretoniomusic.com (Dretonio: Head of Talent, Singer, Songwriter, producer & co-founder @ www.musicalego.co.uk and www.me.tv ), www.genayaparris.com (G. Parris: B.A. Fashion Designing – CEO and Image Consultant & stylist at Blaqbone) www.mykayaonline.com and www.nocheski.com (N. Amarteifio: B.sc (Hons) – Founder/Director @ www.blaqbone.com Moses Midas: B.sc. Economics – Consultant and DJ @ Radio Cardiff.